In this home movie shot in Coney Island in March 1973, a group of kids climb through a broken fence and cheerfully ride the heck out of an abandoned giant slide. The cameraman even manages a few POV shots and pans up at the abandoned Parachute Jump next door. 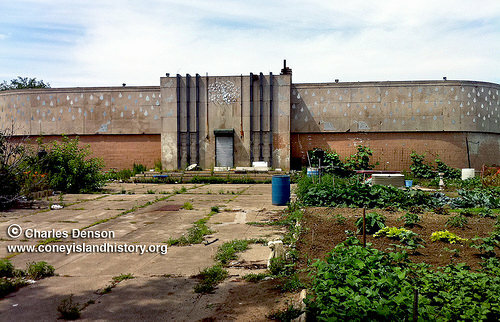 The derelict attractions were their playground. The short film, which was posted by YouTube user huntersgodfather, brings to life scenes glimpsed in remarkable documentary photos from the same year by Charles Denson. Retired arcade operator Stan Fox tells AtZ the Giant Slide was operated for only a few years by longtime Island concessionaires the Garto brothers, who also had rides at Wonderland, the predecessor to Astroland Park. 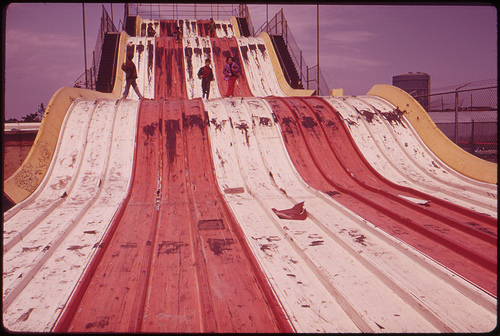 “It was an abandoned slide that went in after Steeplechase was demolished. 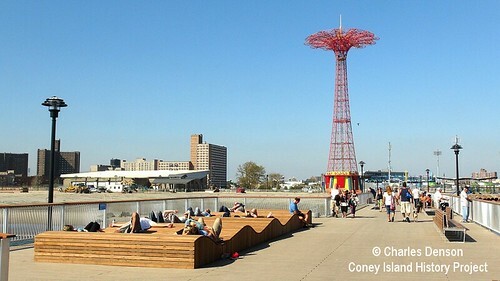 Please don’t confuse with the original Steeplechase!,” says Charles Denson of the Coney Island History Project, who grew up in the neighborhood and recalls the Slide and the Jump being wide open. 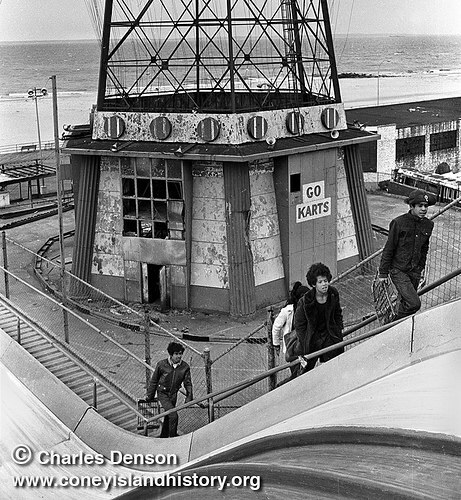 His photo of kids climbing the stairs to the slide against the backdrop of the neglected and vulnerable Jump appears in his book Coney Island: Lost and Found. “I first attempted to climb the Parachute Jump in 1973, when it was a rusting, abandoned ruin. 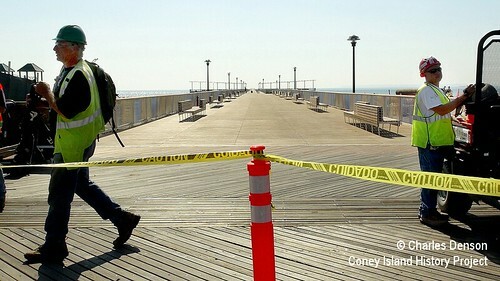 It was too dangerous,” says Denson in an intro to his film Climbing the Parachute Jump. 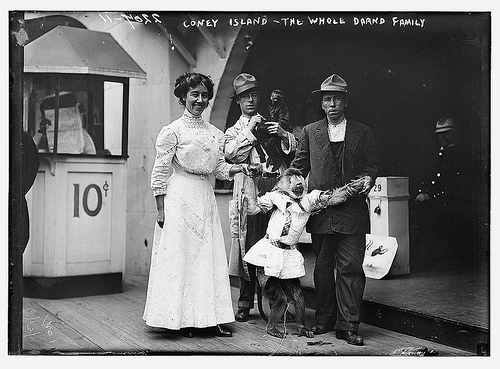 On Presidents Day, the Coney Island History Project and Urban Neighborhood Services are celebrating Black History Month with a slideshow of historic images and a panel discussion in Coney’s West End. Among the photos are this wonderful snapshot of “Tootsie, Blanche and Alma” on Coney Island beach in 1934. 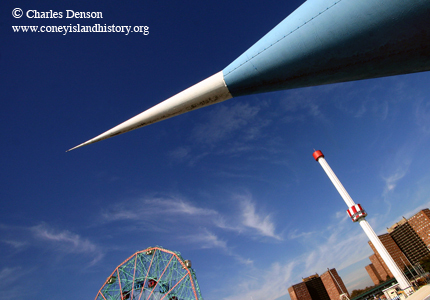 “The History of Coney Island’s West End and the Presence and Contributions of African Americans in Coney Island from the 1600s to the Present” will feature never-before-seen images from the archive of History Project director Charles Denson as well as photos that he took in the 1970s. 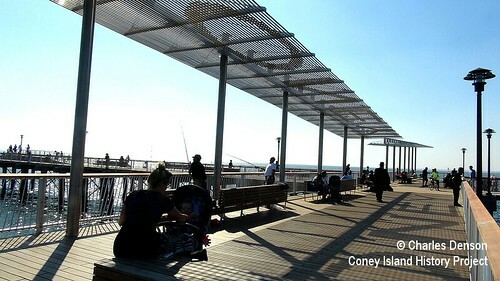 The free event is on February 17 from 4-6pm at PS 329, 2929 West 30th Street in Coney Island. 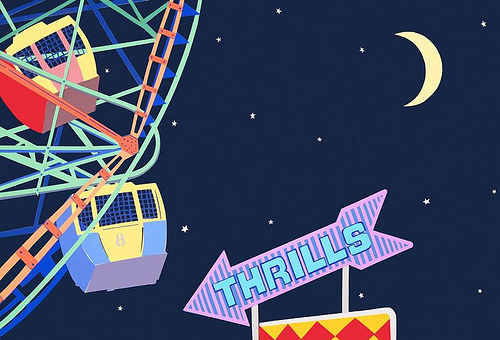 “Thrills,” a group show featuring Coney Island and carnival-themed photography and art opens today at Smart Clothes Gallery on the Lower East Side. The artists are Lawrence Berzon, Charles Denson, Jane Dickson, Richard Eagan, Hazel Hankin, Marc Kehoe, Philomena Marano, and Marie Roberts. The reception is tonight from 6-9pm and the show runs through July 28th. 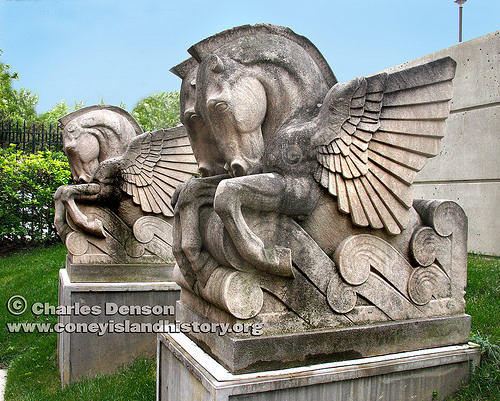 Photographer Charles Denson is the author of “Coney Island: Lost and Found” and director of the Coney Island History Project. 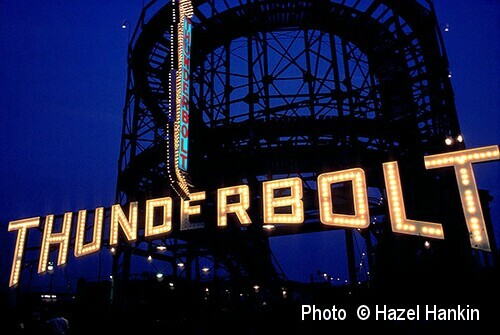 Artists Richard Eagan and Philomena Marano founded the Coney Island Hysterical Society in the 1980s. 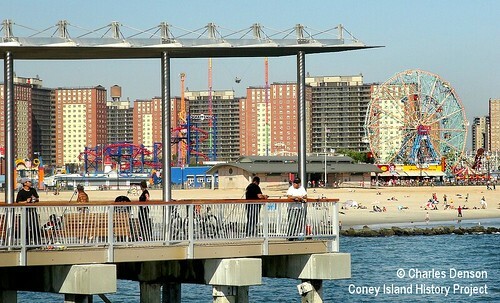 Coney Island has also been a longtime source of inspiration for painter Marc Kehoe and photographer Hazel Hankin, who have exhibited with CIHS. Marie Roberts is artist-in-residence at Coney Island USA, where she paints the banners for Sideshows by the Seashore and the Mermaid Parade. “Thrills” at Smart Clothes Gallery, 154 Stanton Street, New York, NY 10002. 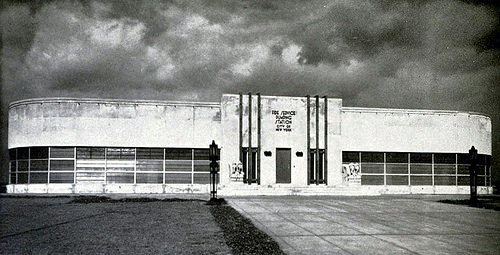 Open Wednesday through Sunday, 12:00 pm – 6:30 pm. Phone 212-627-3276.